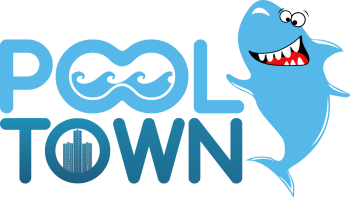 PoolTown is Michigan's largest swimming pool and spa dealer committed to providing quality products at discount prices since 1960. Check out our full line of professional grade pool and spa products online or at one of our seven convenient locations located in Southeast Michigan. Always remember, NOBODY BEATS A POOLTOWN DEAL!! 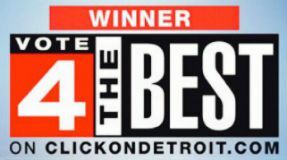 PoolTown has been your Family Fun Center in the Metro Detroit area since 1960. With seven convenient locations to serve you, we provide our valued customers with America's #1 brands at affordable prices. We sell and service Doughboy above ground pools, DreamMaker spas, SunRise spas, Big Green Egg Outdoor Cookers and other quality brand names in the Detroit metro area. Bring family fun back home where it belongs with a visit to Pool Town, your Family Fun Center. When not at work I enjoy hanging with my wife and kids. I'm a FULL TIME hockey parent! When I am not at work, I enjoy golfing! When I am not at PoolTown I enjoy hanging out with my family, camping, canoeing and nature walks! When not at PoolTown I like to spend time reading, sewing and spoiling my cats and dogs. I enjoy watching SportsCenter when I am not working. I enjoy playing with my kids and watching Quantum Leap reruns. I enjoy hanging out with my friends and playing video games. I enjoy spending time with my family when I am not at PoolTown. When I am not working or hanging with my family, I enjoy watching sports and fishing! If I am not at work, find me playing with my dog! I enjoy playing basketball when I am not working. I enjoy spending time with my wife, 2 beautiful girls, attending Red Wings/Tigers games and going to concerts! When not at PoolTown, I work out and play with my daughters. When I am not at PoolTown I enjoy spending time with family and going to church.